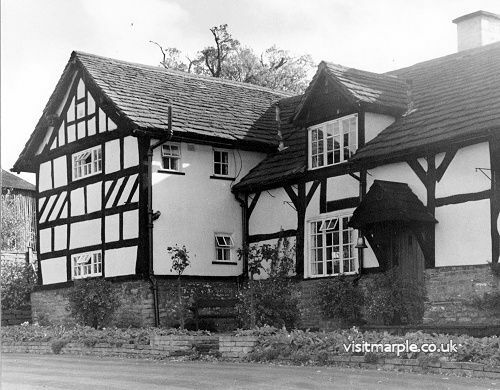 Marple has five nationally important buildings, listed by English Heritage as either Grade 1 or Grade II* One of these is Old Manor Farm, tucked away above the Marple Brook which runs in the valley near Dan Bank. Described by Pevsner as 'a small medieval manor house, the central part timber-framed, probably 15th century, with a two-bay hall of cruck construction. Later wings were added, the service wing of stone, the other half-timber.' Its importance was recognised in 1951 when it was featured in Cheshire Life as one of the “Homes of Cheshire”.